The 21st November 2003 was released the first Trackmania game. For nearly 15 years, many players have discovered the Trackmania series and met people, created and shared maps, skins, videos, websites, tools, servers, controllers, mods, game mods, titles, items, music, etc. 1. to write a memory showing what Trackmania represents to you (you can add an image to your memory but it's not mandatory) or writing one of your funniest moment on Trackmania. 2. to send us a screenshot illustrating the 15th Anniversary. Memories and screenshots must be sent at trackmania-15[at]nadeo.com before November, 14th with the tag [15th TM] in the title of your email. We will publish some memories and screenshots on our social networks and send goodies to 6 players randomly drawn. 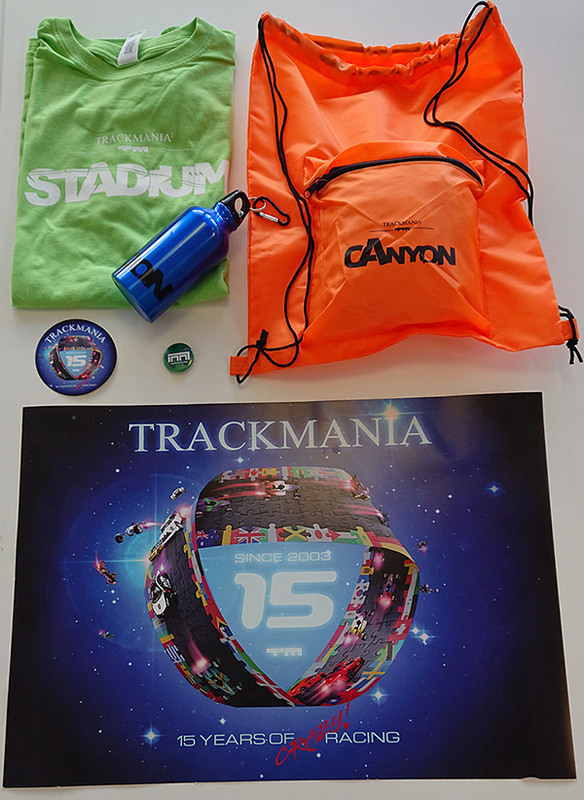 For people who want to run events to celebrate the 15th Anniversary of Trackmania, we can award winners with goodies. Please send an email at trackmania-15[at]nadeo.com for presenting your project. 15 years? It feels like only... 12. Oh, wait, that's because I only started playing TrackMania with Nations ESWC. My son and me play this game from start. I think it was the red cover with cd! Never ever I had so much fun of a game. Thanks a lot for all this FUN!! Also thanks for the Boys and Girls who are the sidekicks for Nadeo! !